Handmade white coin pearl and silver necklace - A beautiful necklace which is brimming with a selection of luscious white/creamy freshwater coin pearls. 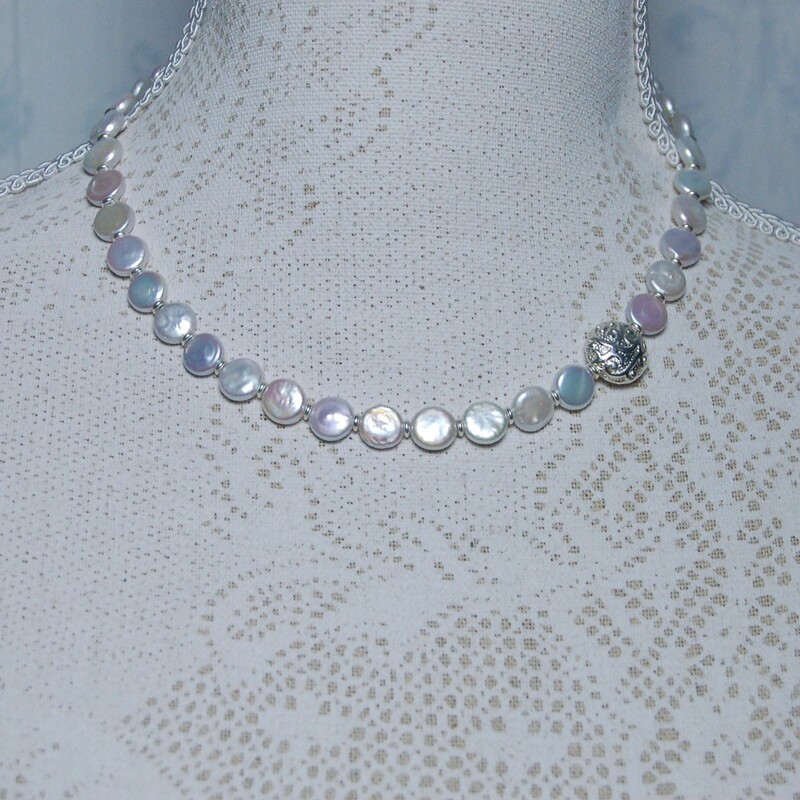 This striking necklace is made with AAA 13-14mm white coin freshwater pearls which have a fantastic shape to them with a tantalizing iridescence colour that makes them shimmer and glow. We have added a sterling silver coin bead to the necklace just off center to give it a unique contemporary look and the coin pearls are separated by sterling silver rondelle spacer beads.This necklace would grace any bride but not only is this necklace fabulous for weddings but it can also be worn as an everyday piece of jewellery. 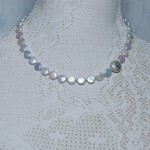 IndiviJewels designs and makes all it’s own unique work so if you are looking for something a little different then please just contact us and we will see what we can do for you. 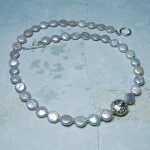 This necklace is made with graded AA freshwater coin pearls and sterling silver. 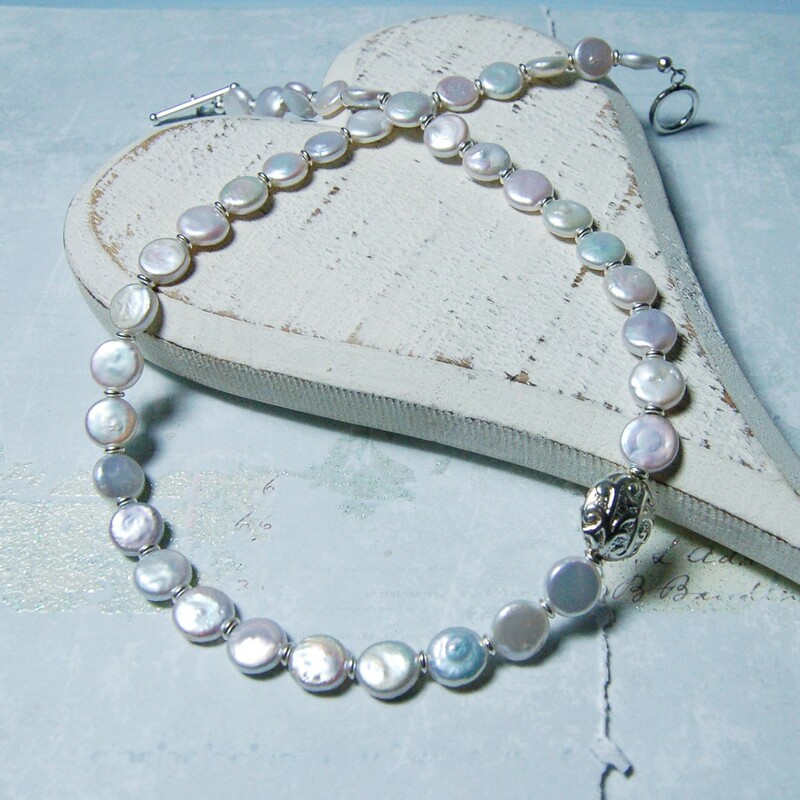 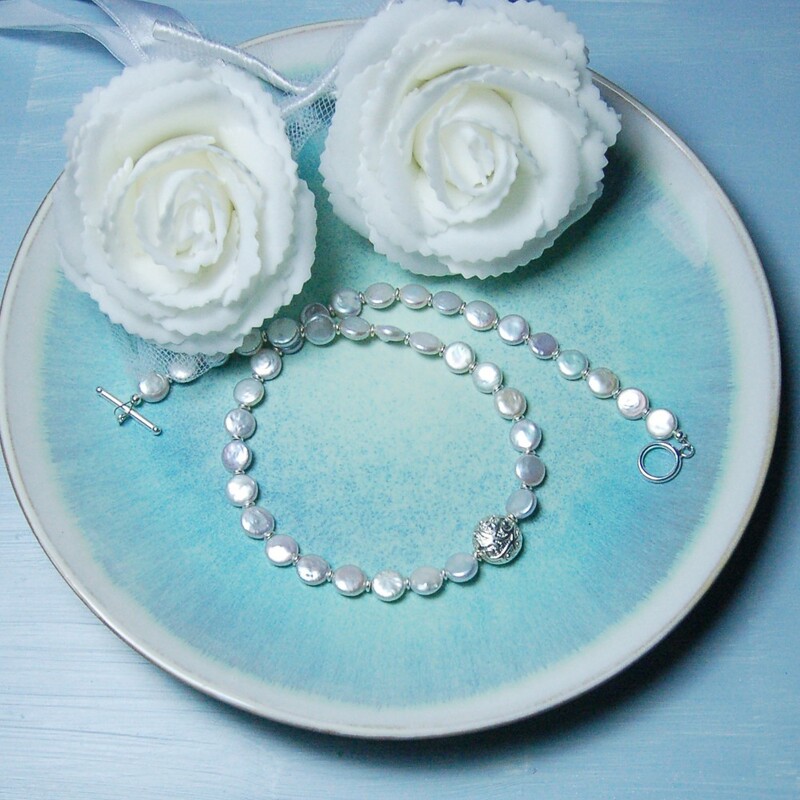 This handmade white coin pearl and silver necklace will make a fabulous addition to your jewellery collection or make a treasured gift for someone special and will be handmade especially for you in the UK. Co-ordinating earrings and bracelet are also available. 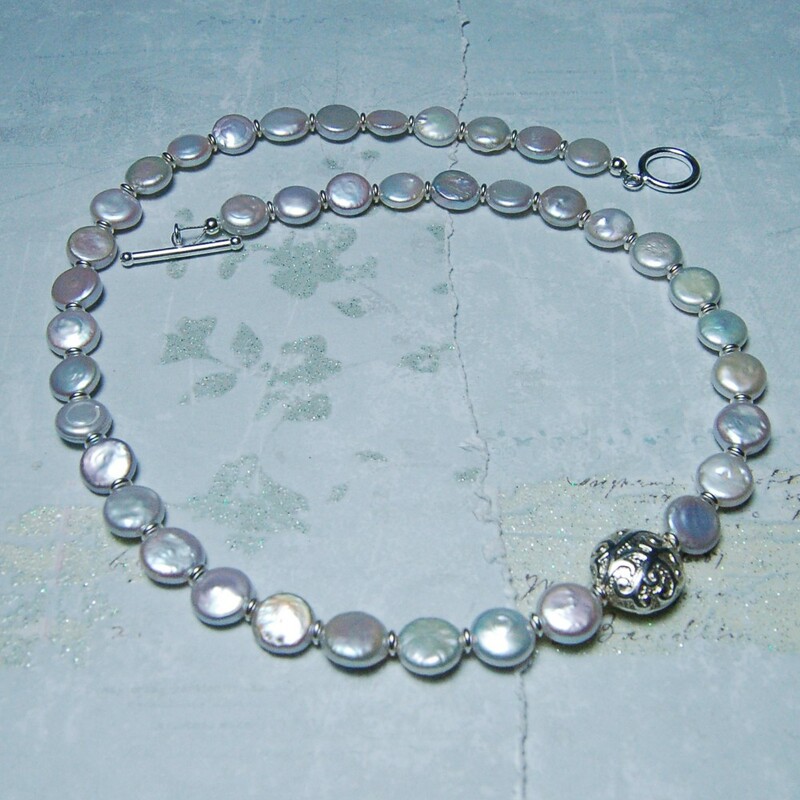 The coin pearls are 9-10mm in diameter and the sterling silver bead is 15mm.